This term we have been studying Earth and Outer Space. The children discussed the movement of the planets, Moon and Sun in our Universe. They created paper models to explain this in a visual way, accessible for all children. We have been looking at different artists this term, such as Van Gogh, and how cool and warm colours are used. We specifically focused on sketching flowers from different angles and using iPads to take pictures to capture more detail in their drawings. During National Story Telling Week, the classes swapped with Year 2, so that the children from KS1 and UKS2 had a chance to read with one-another. This was a brilliant experience for the children to model good reading skills for their younger peers and we will definitely organise again! 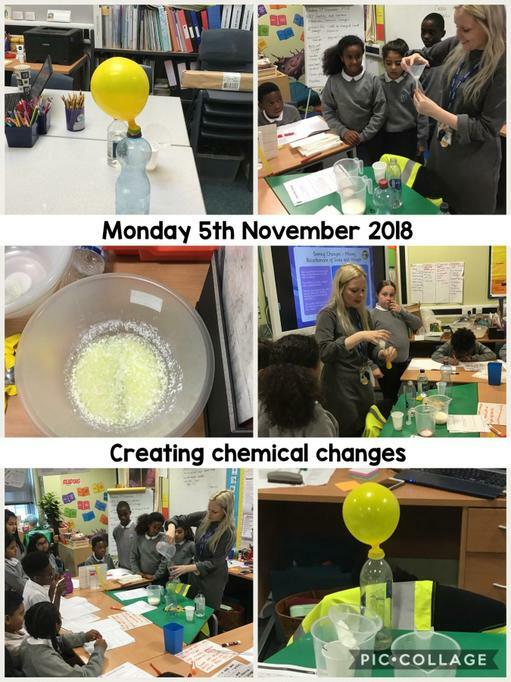 Please see pictures below for some of our great work this half-term. We have been studying the work of William Morris. We evaluated some of his designs then created a tile using the theme of 'plants.' We then used printing ink to create a repeated pattern. Here is some of our work. Well done to all the cast of Shakespeare's A Twelfth Night. It was a fantastic performance. 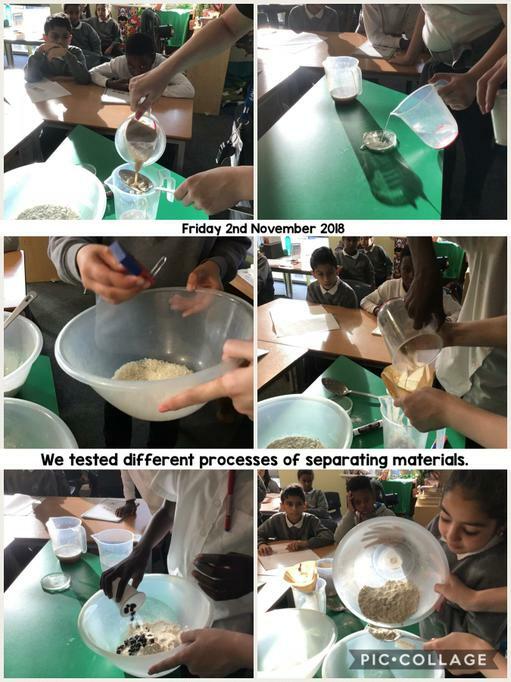 In Science we have been looking at materials and their properties. 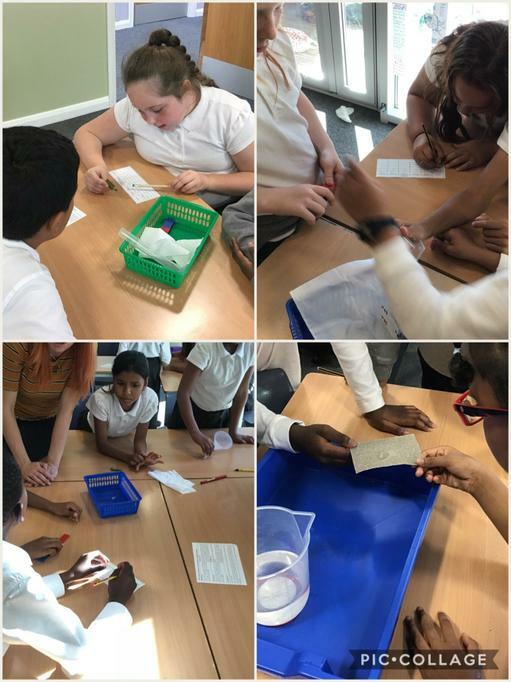 We did lots of exciting experiments. Dear children and parents... WELCOME TO YEAR 5!! You've now had a chance to meet your new teachers and we can't wait to start our journey together. In the meantime, have a restful 6 weeks off. Remember to keep checking this class page for regular updates in September.